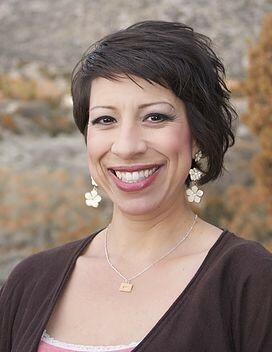 Cynthia Chavers, LMSW, has been a Social Worker with State of New Mexico Protective Services Division for over 20 years. She worked in the field offering direct services to families and children for 17 of thosee years. She currently serves as the Federal Reporting Bureau Chief and Tribal Liaison. Cynthia is considered an expert in child welfare and has specialized in family drug court, the Indian Child Welfare Act, immigration issues that impact families and children, and youth transitions from foster care into adulthood. Additional professional activites include participation in the Child Abuse and Neglect Fatality Review; particiation in local Multi-Disciplinary Teams; and establishment of the Child Advocacy Center in Valencia County, NM. Cynthia is currently immersed in updating New Mexico’s child safety assessment process, and implementation of a new safety organized practice model. Cynthia has expensive experience working as a private clinician, conducting home studies as well as group, individual, and couples counseling. Cynthia is an advocate for LGBTQ youth, and is a founding board member of Casa Q, which provides safe living options and services for lesbian, gay, bisexual, transgender, queer and questioning youth and allies who are at risk of experiencing homelessness.